The British counter-terrorism police have launched a sweeping raid into a home belonging to a man who allegedly carried out a terror attack in the city of in Manchester on the New Year’s Eve. 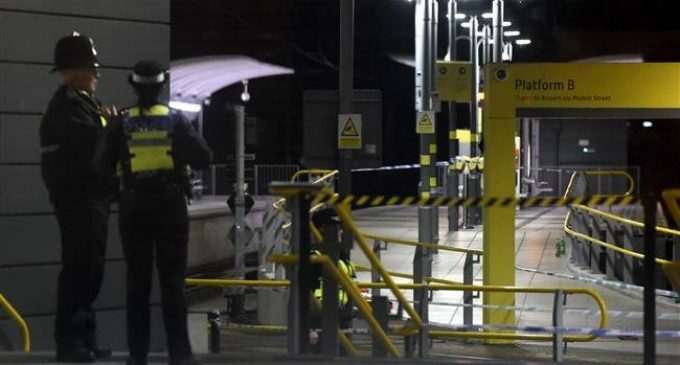 Police said Tuesday that officers were searching a property in the Cheetham Hill area of Manchester where a man who injured three people, including an officer, with his knife in an attack in Victoria station earlier in the day, had lived. The raid came as police was desperately seeking information to know whether the attacker had accomplices who could launch fresh assaults in Manchester or other British cities. Police said the 25-year-old man who allegedly carried out the “frenzied” stabbings overnight in the Victoria metro station had been arrested on suspicion of attempted murder. Authorities said security officials in government, police and the intelligence services were helping the investigation into the attack. Three people have been hospitalized in the British city of Manchester after they were attacked by a stabber. The Tuesday took place near a hall where 22 people were killed on May 22, 2015 in a terror attack on a music concert by American singer Ariana Grande. “That the incident happened so close to the scene of the terrorist attack on 22 May 2017 makes it even more dreadful,” said Greater Manchester police chief constable, Ian Hopkins while at a news conference. Britain is on its second level of security alert following three terrorist attacks last year. The country is specifically at a risk of attacks by nationals who have returned home from engagements in militant activity in the Middle East. Estimates suggest hundreds of British nationals went to Syria and Iraq to join terrorist groups since militancy erupted in those countries several years ago.